Well this was meant to be the post on the social however as no one else turned up this is the limit of the post. If you are going to say you will be somewhere – be there. Will put together a longer post when I am back in front of a pc. 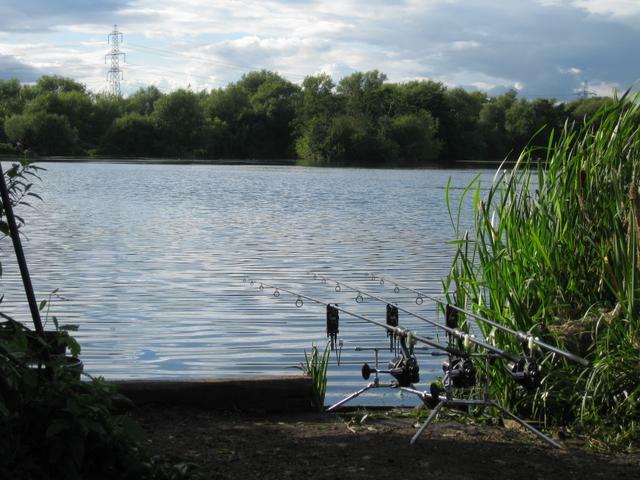 OK now back in front of a PC, well the weekend was a nice relaxing weekend not interrupted by any carp action. One of the bailiffs wander around to check tickets and indicated that some people around the lake were having a few out. To the best of my knowledge there were at least 2 twenties out and 10+ doubles. My only fish was a 9-8lb tench which come to think of it was probably a PB so should have been weighed and photographed. Tactics wise I stuck with the normal method of spodding ( well spombing ? ) biout pigeon conditioner mixed with CCmoore seed storm over the top. Whilst this did seem to produce a huge number of line bites there was no other action. As suggested by the bailiff and other anglers I will change tactics next week to small PVA bags loaded with weed beater mix and pellet with a small popup fished over the top. The weed is “intense” and is far different to any of the Dutch lakes I am used to fishing which is probably why I am struggling so much. Here’s hoping that next week there is a pic or 2 of carp on this blog as they are a little short on the ground recently. Better luck next time! Hope this was only a day session, week sessions catching nothing but a couple of small ones, seems to be the norm for me over the last few months. How you been getting on with the ccmoore seed storm? Is it providing any results? ahh no actually a 2 day session :), since I got back to the UK I am struggling. I am too used to very easy Dutch waters I am afraid. was the 1st time out for CCmoore seed storm. It looks and smells impressive and is fairly cheap for what it is so it will have a permanent home in my spod mix, just remember it doesn’t take on water that readily so when mixing you don’t need a lot.